Huawei, as of 2018, is the second largest manufacturer of smartphones in the world, only behind Korean giant Samsung. A Chinese company based out of Shenzhen, Guangdong, Huawei is a relatively recent entrant to the mobile phones space. The company was better known as a major telecommunications equipment supplier in the past and in 2012, overtook Ericsson as the world's largest telecommunications equipment manufacturer. Huawei also owns its more popular sub-brand - Honor and currently offers several handsets for the Indian consumers. 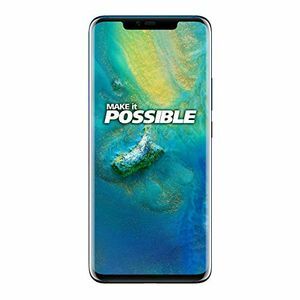 The latest product from Huawei to hit the Indian markets is the Huawei Mate 20 Pro. 1. How is the battery backup of Huawei mobiles? While the exact battery backup will vary depending on multiple factors, most Huawei Android Smartphones generally offer above average battery backup. 2. Do Huawei phones run on latest Android OS? Most Huawei smartphones released in 2018 offer some version of Android Oreo installed out-of-the-box. Smartphone coming out at the end of 2018 or early 2019 are slated to come with Android 9.0 Oreo installed by default. Huawei phones generally run the company's own EMUI skin over Android software. 3. How is Huawei's HiSilicon Kirin processor compared with Snapdragon processor? On comparing similar generation processors from the two chip makers, HiSilicon's Kirin 970 SoC is on par with Qualcomm's Snapdragon 435 SoC in terms of CPU performance. However, the former's Mali-G72 GPU struggles to keep up with Qualcomm's Adreno 630 GPU. On the other hand, Huawei's chips come with better AI capabilities which can prove useful if future hardware and applications start to better utilise them. 4. What is 2.5D curved glass in Huawei phones? 2.5D glass on modern smartphones denotes the implementation of a glass layer with curved edges. This is meant to offer a smooth and seamless integration of this glass with the frame of the device, potentially improving both its ergonomics and aesthetics. 5. Do Huawei phones come with a removable battery? Most modern Huawei Android phones come with sealed, unibody constructions that do not allow the removal of batteries. 6. 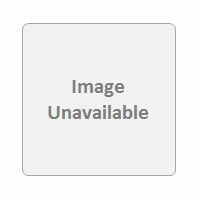 What is the warranty period for Huawei phones? Huawei typically offers a one year warranty period for its smartphones. This includes a six month warranty for in-box accessories, six month warranty on battery, and three month warranty for the charging cable. An extension of these warranties might be possible depending on the retail partner. 7. Do Huawei phones support VoLTE? Yes, all Huawei Andorid smartphones come with support for 4G VoLTE. 8. Do Huawei phones come with IR Blaster? 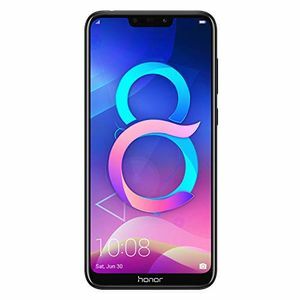 Many smartphones from Huawei, such as the Huawei P20 Pro and Honor View 10, do come with IR blasters. 9. Do Huawei phones support OTG and VR Headset? Yes, most smartphones from Huawei do offer support for OTG, along with compatibility with VR headsets. 10. How is the display and resolution of Huawei phones? The exact display quality and resolution varies from model to model. 11. What is the latest huawei phone 2018? The latest smartphone from Huawei launching in India in 2018 is the Huawei Mate 20 Pro. Internationally, Huawei has also launched the Huawei Mate 20, Mate 20 X, and Mate 20 RS Porsche Design alongside the Mate 20 Pro. 12. Which is best huawei phone? 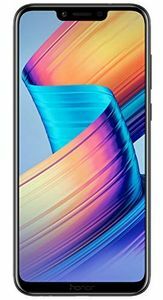 As of November 2018, the best smartphone offered by Huawei in the Indian market is the Huawei P20 Pro. It offers an excellent triple-camera setup at the back comprised of a 40MP+20MP+8MP configuration. 13. Is the Huawei an android phone? Yes, huawei offers smartphones loaded with Android OS that are integrated with the company's custom EMUI skin. 14. 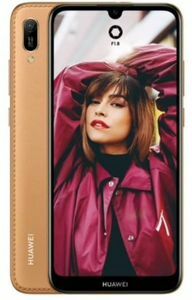 Are huawei phones good? Huawei does offer some excellent smartphone offerings across various price points. 15. Which huawei phone has the best camera? As of November 2018, the Huawei P20 Pro offers one of the best cameras that can be found on any smartphone. With the upcoming Huawei Mate 20 Pro, the imaging capabilities are expected to be improved upon further. Establishing itself further as a semiconductor designer, the Chinese tech giant Huawei has announced the launch of a new chipset for servers. The processor, Kunpeng 920, is made from 7nm process and has a 64-core CPU. It is based on ARM architecture even as Huawei said it will continue its partnership with ARM-rival Intel. As always, the chipset is made by Huawei's subsidiary HiSilicon. Counterpoint Research has said that the Chinese brand Huawei has grown in its influence over the premium segment of smartphones globally. In the third quarter of 2018, Huawei's premium smartphone market share grew to reach 12 percent. This is the first time that the company recording double digit market share in the global premium smartphone segment, and the credit goes to the P20 series, reports said.